Boeing’s 777X will become the first heavily used commercial airliner with the technology. While the wings are common on smaller defense aircraft, the FAA had to institute new regulations for Boeing’s commercial plane to avoid mishaps like the wing flaps coming loose during high winds. Boeing assured the regulator that a locking mechanism would make it impossible for the wings to retract while in flight. The FAA finally gave approval to the 777X on Friday May 18. Airlines will be able to park the 777X at current gates despite its 235 feet wing, thanks to the 12-foot foldable section. The wings are made from lighter carbon fiber composites instead of aluminum. 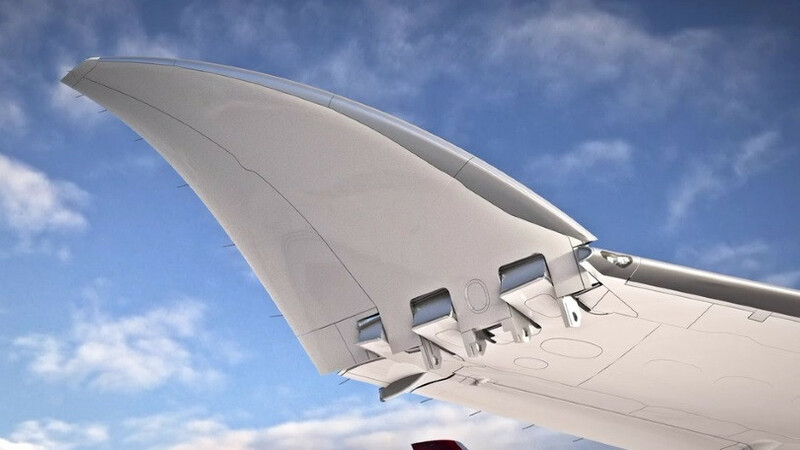 ”This airplane will be the most efficient twin-jet overdeveloped in commercial history,” Terry Beezhold, the 777X’s chief project engineer called it “this beautiful wing” in a recent video made by the company. ”This airplane actually will be the most efficient twin-jet ever developed in commercial history.” Beezhold said. Boeing has passed the one year anniversary of the 737 Max with a staggeringly large in-service fleet that has fulfilled promises of improved fuel efficiency. The company delivered 130 aircraft representing two versions of the 737 Max in the 12 months since the first delivery to Lion Air’s Malaysia-based subsidiary last May, the company says in an online blog post. The deliveries might have been even higher, but engine supplier CFM International fell several weeks behind on a planned ramp-up of Leap-1B engine production, CFM plans to catch up on deliveries in the third quarter. So far, the 28 737 Max operators have logged 118,006 hours on 41,797 flights that carried 6.5 million passengers, according to Boeing. The fleet now stands at a mission dispatch rate of 99.4% and should improve to the 99.7% standard by the end of the year. Boeing has sold 4,509 firm orders of the 737 Max family with the 737-8 version is by far the most popular. Airbus said the BelugaXL has passed the ground vibration test (GVT), a requirement for certification of the aircraft that paves the way toward its maiden flight this summer. “The objective of this test is to measure the dynamic behavior of the aircraft and confirm theoretical models of various flight conditions, such as maneuvering, flying in gusty conditions and landing. This test data also helps clear the aircraft’s flight envelope,” Airbus said in a statement. The BelugaXL was launched in November 2014 to address the transport and ramp-up capacity requirements for Airbus beyond 2019. The new oversize air transporters are based on the A330-200 Freighter, with large re-use of existing components and equipment. The first of five BelugaXLs will enter service in 2019. 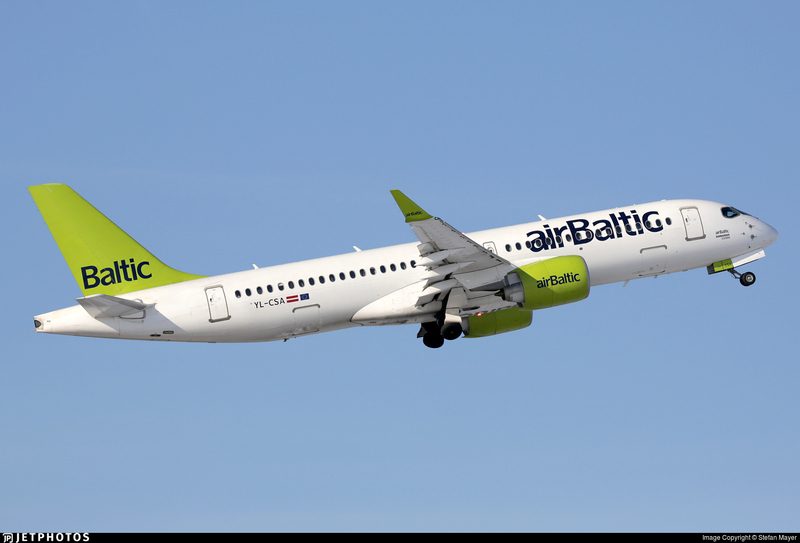 Latvian carrier Air Baltic has signed for 30 more Bombardier Series aircraft and taken options for 30 more of the type. Deliveries of the new aircraft are set to begin in the fourth quarter of 2019. The new aircraft will support the next stage of its business strategy, which targets significant route expansion in key Baltic markets Latvia, Estonia and Lithuania. “A critical part of this new strategy is the introduction of a larger and exclusive fleet of all CS300 aircraft, which are the most suitable aircraft for the markets in which we operate,” said chief executive Martin Gauss. Boeing Business Jets have won four new orders in 2018 as elite customers continue to favor Boeing’s portfolio of ultra-large-cabin, long range airplanes, the company announced on May 28 at the European Business Aviation Conference & Exhibition (EBACE). The New Orders this year follow an impressive 2017 in which customers purchased 16 Boeing Business Jets. 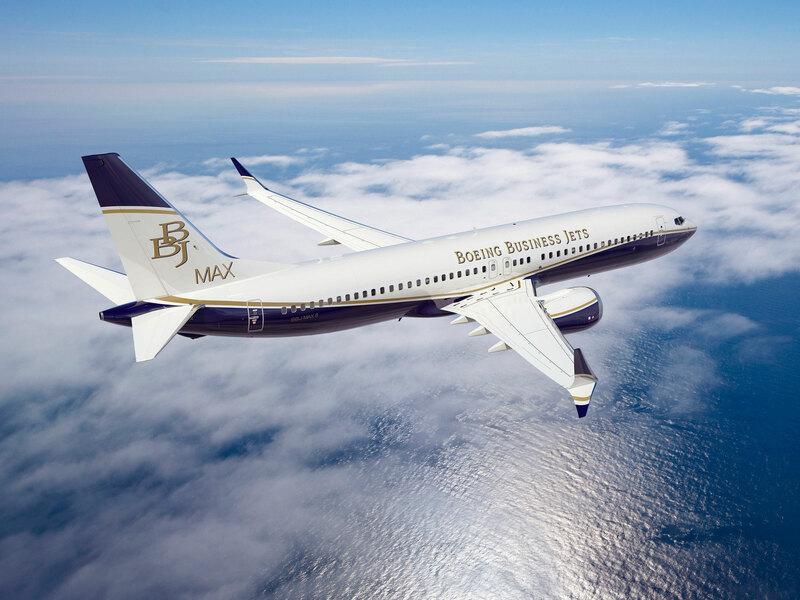 Two of the new orders this year are for the BBJ MAX airplane, adding to a backlog of 19 airplanes and making the BBJ MAX one of the best-selling business jetliners in history. Silkair’s Boeing 737 fleet will undergo a major cabin overhaul pending the unit’s merger with the main Singapore Airlines brand. The full merger will take place after 2020, which gives the SIA Group time to upgrade the cabins aboard the regional carrier’s narrow body fleet, says SIA. “The program will comprise investment of more than $100 million to upgrade the wholly owned subsidiary’s cabins with new lie-flat seats in business class, and the installation of seat-back in-flight entertainment systems in both business class and economy class”, says SIA. “ This will ensure closer product and service consistency across the SIA Group’s full-service network. “Singapore Airlines is one year into our three-year Transformation Program and the announcement of May 18 of merging Silkair into Singapore Airlines is a significant development to provide more growth opportunities and prepare the Group for an even stronger future,” says SIA chief executive Got Choon. Silkair operates 34 aircraft. They comprise of five 737 Max 8, 17 737-800s, three Airbus A319s, and nine A320s. The A320 family aircraft are being phased out in favor of the 737s, of which Silkair has orders for 32 Max 8s. In early May, GE wrapped up the first phase of a two-stage flight-test effort on the 105,000lb-thrust GE9X. Phase 1 included 18 flights on board the company’s Victorville-based 747-400 flying testbed, GE9X program manager Ted Ingling said. The 105,000lb-thrust power plant was flown to Evendale, Ohio to prepare for phase 2, which is scheduled to begin in the third quarter.” It will be months of work to bring the engine down and back up again. The majority of the activities are around the instrumentation that we have on this vehicle. There’s over 1,600 pieces of discrete information through sensors that get bundled onto the engine routed into the aircraft,” Ingling says. “We want to preserve that instrumentation for the missions that follow. As a result, what would normally be a quick turn-around for incorporation of the hardware changes takes us a much longer time to bring the engine down and back up and make sure all the instrumentation is working,” he adds. 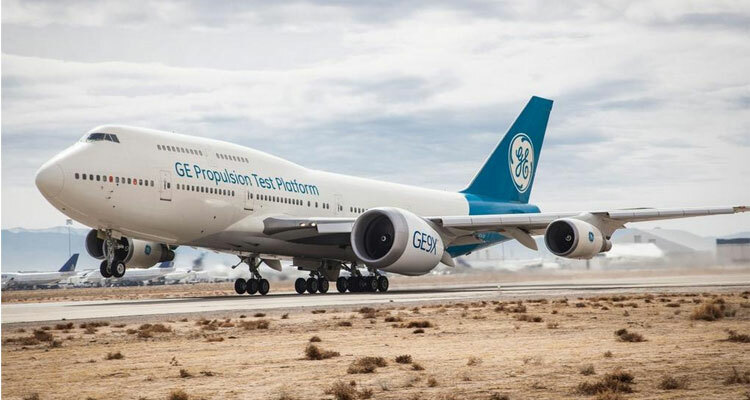 The first phase of flight-testing with the GE9X kicked off on March 13, with engine designated as No.4 within the program lifting off in Victorville. In nearly two months, the 747-400 flying testbed logged 110 flight hours overall during the 18 flights. 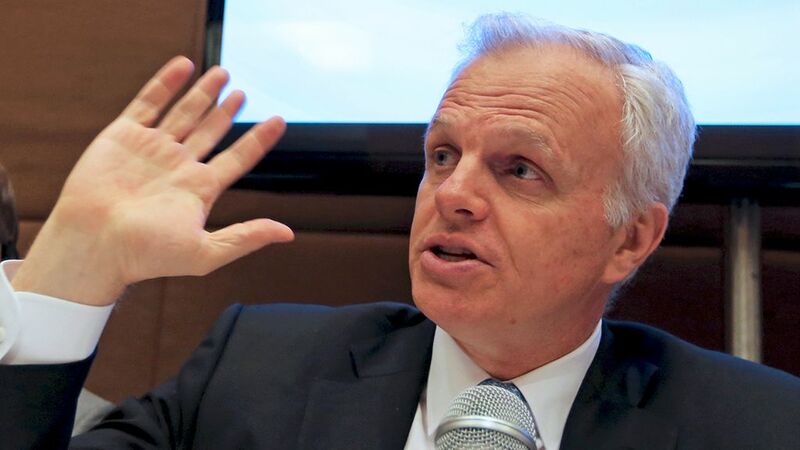 David Neeleman, who started JetBlue Airways Corp.with $100 million in 2000, is raising money to launch a new low-cast carrier focused on secondary airports in the U.S., according to Airline Weekly. The airline, to be called Moxy Airways, has secured orders for 60 Bombardier CS300 aircraft, the trade journal, citing people familiar with the matter. The first would arrive in 2020, perhaps a ply on the word Moxie—meaning determination and pep—Moxy Airways reportedly aims to get of the ground in 2020. The timeline coincides exactly with when Bombardier – and its new partner Airbus – intend to open a Series assembly site in Mobile, Alabama. Moxy is designed to maximize the economic advantage of the C Series, along with the use of smaller, secondary airports such as Providence, Rhode Island, Forth Worth, Texas, Gary, Indiana and Burbank, California. Plus the Long Island cities of Islip and Farmingdale, Airline Weekly said. The advanced jetliner reduces fuel burn due to its modern engines and carbon-fiber fuselage. With 60 CS300 orders, Moxy would become the second-largest C Series customer after Delta Airlines. Delta is acquiring 75 of the smaller CS100 model and plans to begin service with the plane next year. IATA downgraded its 2018 profit forecast for the global airline industry, projecting airlines will collectively earn $33.8 billion this year, down 12% from the $38.4 billion predicted in December 2017 as fuel costs rise. Qatar Airways Group chief executive Akbar Al Baker has been appointed the chairman of ATA board of governors. Ethiopian Airlines has taken delivery of its 100th aircraft, a Boeing 787 Dreamliner on June 6,2018, once again leading the way in fleet expansion and modernization in Africa. LOT Polish Airlines is acquiring six more Boeing 737 MAX 8s as part of its fleet modernization plans. 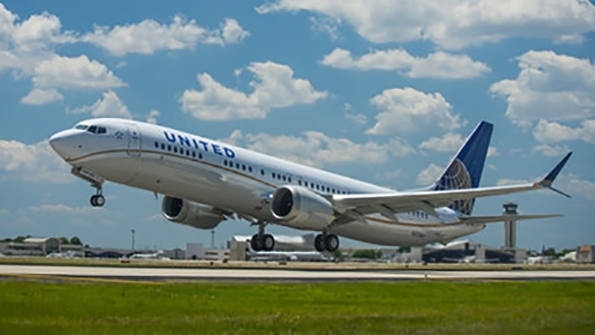 United Airlines debuted its first passenger service utilizing a 737 MX 9 between Houston and Orlando International Airport on June 7. 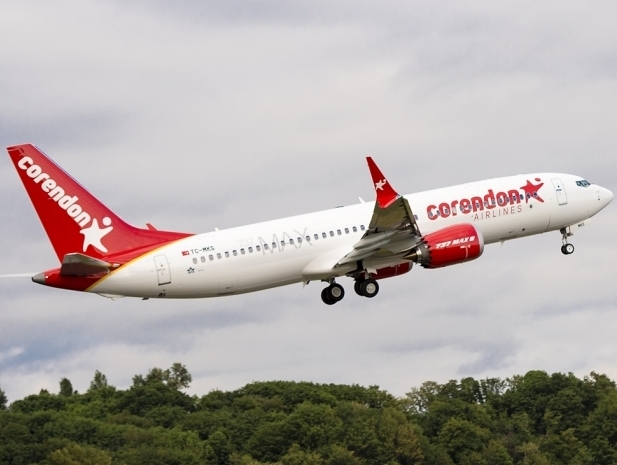 BOC Aviation Limited delivered its first Boeing 737 MAX8 aircraft to its newest customer Corendon Airlines based in Turkey. CDB Aviation Lease Finance delivered two Boeing 737-800 aircraft to Ukraine International Airlines. The aircraft delivered from CDB Aviation order book with Boeing. AirAsia Group received shareholder approval to sell 55 Airbus A320 family aircraft and seven CFM56s on an operating lease to FLY leasing; deal includes options on another 20 A320neos. Vistara the Indian affiliate of Singapore Airlines Ltd has opted for six 787s with an option to buy four more. Vistara is considering between the 787-9 and the 787-10 version. Xiamen Airlines has taken delivery of its first Boeing 737MAX 8, expanding its fleet to 200 aircraft. The air carrier operates an all Boeing fleet of 737s,757s and 787s, with 31 consecutive years of profitability. 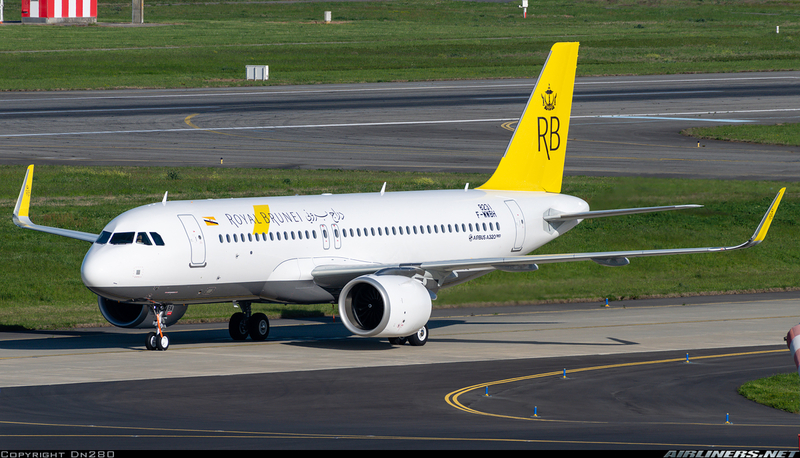 Royal Brunei Airlines has taken delivery of its first Airbus A320neo aircraft during an event in Toulouse, France. Sources : Ed”s Research From Various Aviation Resources. Lufthansa Cargo has confirmed its latest capacity increase into Chinese cargo market by adding twice weekly B777 freighter services to the city of Chengdu. Chengdu in western China has joined Shanghai, Beijing, Guangzhou and Hong Kong as Lufthansa Cargo freighter connections to the country. Speaking at Air Cargo China in Shanghai, Frank Naeve, Lufthansa Cargo vice president Asia-Pacific, said: “The extension to our network will allow us to offer solutions for booming markets in the west of China”. “These new flights to Chengdu are strengthening our position in China. It is a further investment into the very important Chinese airfreight market,” he declared. Lufthansa Cargo flew 240,000 tons of cargo from and into China in 2017. In addition to this news, Lufthansa has ordered two Boeing 777Fs to add to its fleet of five B777Fs, to be delivered in February and March of 2019. 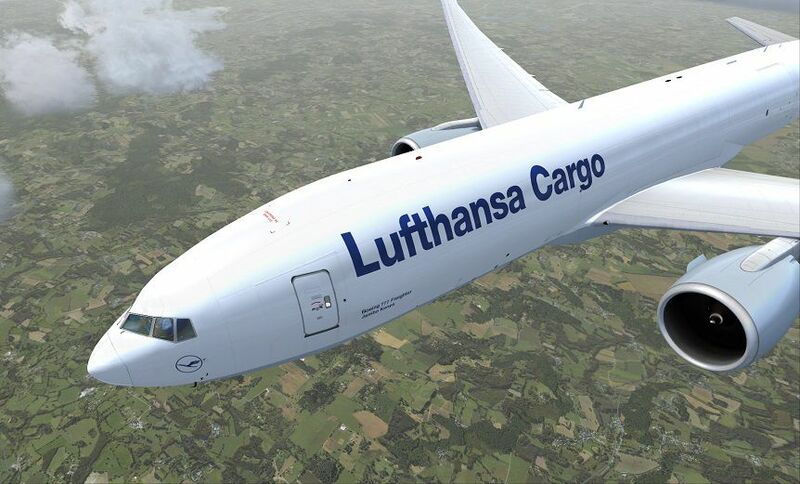 With a full payload of 103 tons, the B777F is able to stay in the air for ten and a half hours. It covers a distance of more than 9,000 kilometers ( 5592 miles) non-stop. Boeing’s increasing emphasis on services and lifecycle revenue streams for its product is a “key development” for the company, says Fitch Ratings. The credit rating agency had affirmed Boeing’s long-term rating at ‘A’ with a stable outlook, and says that Boeing’s 4.25 billion takeover of parts supplier KLX Aerospace Solutions—expected to close in the third quarter—will not affect this assessment. Fitch broadly approves of Boeing’s aftermarket strategy, which it believes could drive growth and margin gains. It also increases the viability of clean-sheet aircraft programs by opening another revenue stream to recoup high development costs. “Potentially greater services revenues through the life of a program could make some proposed programs more economically viable than if evaluated only on an original equipment basis,” Fitch states. The obvious potential program in this regard is Boeing’s new midsize aircraft (NMA). Fitch questions whether Boeing’s current setup can provide a business case for the aircraft given development costs, but notes this might change with production system improvements and aftermarket gains. ST Engineering Aerospace opened a $46 million, 173,500 sq ft maintenance and overhaul facility in Pensacola, Florida. It’s the third facility in the US. They have signed UPS as launch customer for Boeing 757s. Boeing & Safran agreed to form a joint venture to design, build and service APUs. Skytech-AIC was appointed by Kuwait Airways to market for sale the airline’s single, low-time, GE-powered 747-400 Combi and its first A340-300 aircraft, delivered new to Kuwait Airways in 1994-1995. 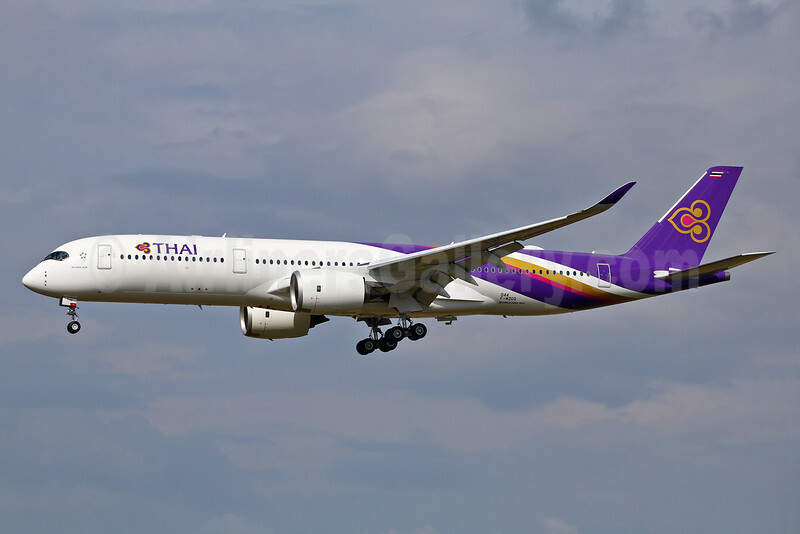 Thai Airways & Rolls-Royce signed cooperation agreement over Trent Maintenance. German Asset Manager Dr Peters, on June 5th, disclosed plans to part out two ex-Singapore Airlines Airbus A380s. Dr Peters executive, Anselm Gehling, estimates that the company can achieve a residual value of about $80 million per aircraft. This is done with $45 million from parting out airframe, about $4 million from leasing engines over the next 18 months, and $32-$33 million from selling the engines in 2020. 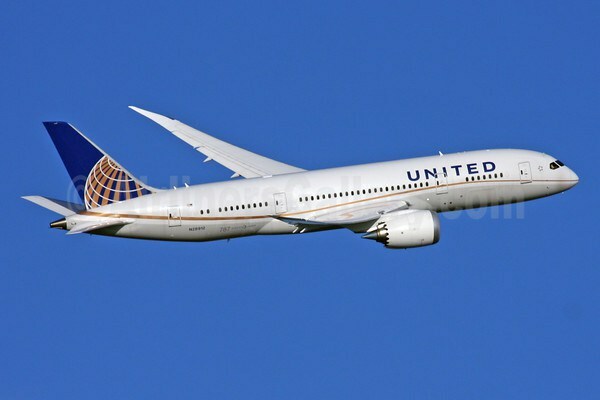 In spite of all the initial launch problems with the 787, it is proving that it is a capable, fine aircraft with all the airlines that bought it and are flying it. 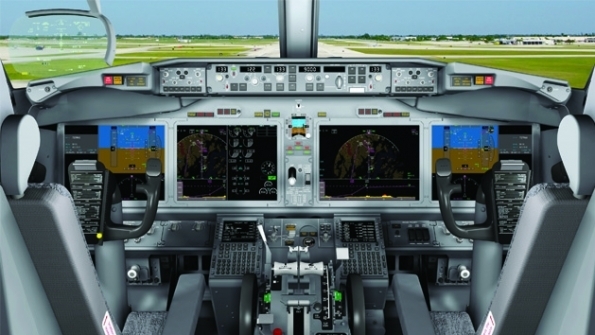 Boeing incorporated improvements to the aircraft that include the introduction of simplified display and control(DCA) software, which in mid-2014 was cited as the third largest cause of delays after issues with spoiler control units and brakes. “Since then, we have rolled a couple of block software changes,” says Mike Fleming, Boeing’s 787 vice president for service & support. “We continue to track every interruption on the fleet, and the engineering teams review it to understand if it’s a known or new problem. Over the last two years, the rate of new problems has come down on the aircraft. Once we know about them we are devising improvements,” adds Fleming, who says that the main focus for improvements is now on elements of the flight controls, electrical system, software and air conditioning system. The key issues are “a combination of things. Most are component problems as opposed to system problems or integration issues,” he says. The economics of the aircraft are strong. Air Canada recently told investors that when it switched from the 767 to the 787-8 between Toronto and Tel Aviv, it was able to carry 31% more passengers and 350% additional cargo while using 3% less fuel. After a difficult start, LOT Polish Airlines stated that one of its aircraft, which is wet leased to Air Europa, has enjoyed a dispatch reliability of almost 100%. “As such, it is the most reliable Boeing 787 in the world,” says LOT. In terms of fuel burn against the 767-300 which the airline used before the 787, shows average savings of 10-11% on the same routes. All Nippon Airways (ANA) is the largest airline operator of the 787. 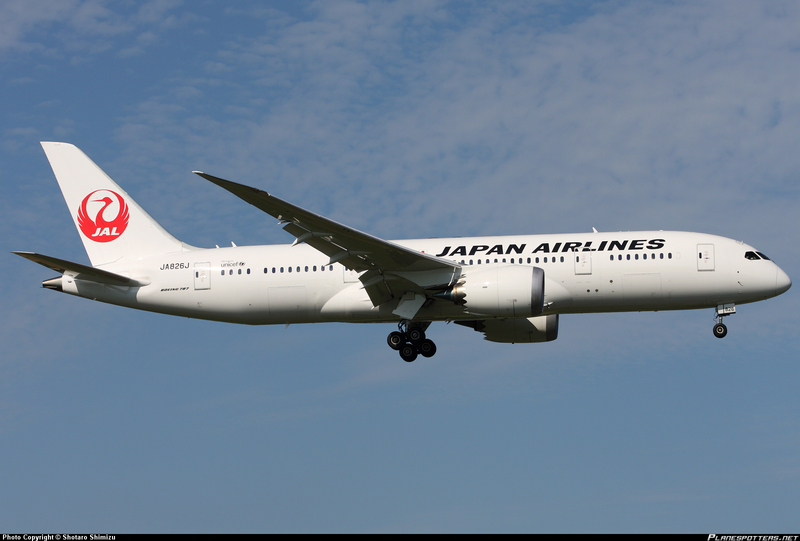 On August 17th, the airline took delivery of its 50th 787 Dreamliner, a 787-9. 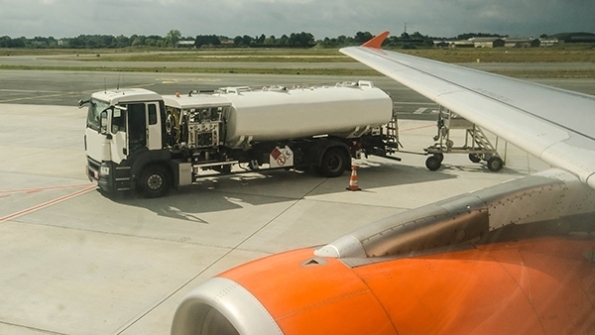 The airline is pleased with the aircraft and stated that fuel savings versus the 767 are at 21% for the long-haul flights & 17% for short-haul. As of this writing the fleet has accumulated 1.3 billion revenue miles, saving 9 billion pounds of fuel in the process. The aircraft has opened new nonstop markets that did not exist before this airplane went into service. An impressive feat. Source : Aviation Week/Boeing/Ed’s Research from Various Sources. Qantas Airways said it does not want the remaining eight A380’s it still has on order because the 12 aircraft it operates now are sufficient to meet demand, further dimming future sales prospects for the aircraft. “Our intention is that we are not taking those aircraft”, Qantas Chief Executive Officer Alan Joyce said on Friday August 5th at an airline conference in Brisbane, Australia. Qantas was one of the original operators of the A380 and looked to become one of the biggest buyers of the A380.Joyce has pushed back delivery of the remaining planes for about two years now, joining customers including Virgin Atlantic, that have not outright canceled orders but are unlikely ever to have them fulfilled. 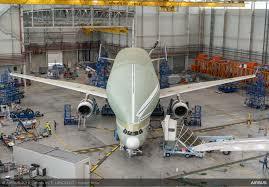 That leave Emirates of Dubai as the one committed buyer of the aircraft. Airbus announced a drastic cut in production last month of the A380, saying it would build about 12 of the planes annually compared with close to 30 in recent years, Emirates’ orders amount to close to 50 percent of the model’s backlog. Following Airbus’ latest decrease, it will produce one A380 a month come 2018, more than halving the current rate of monthly jets. At present,13 airlines operate the aircraft: with Etihad, Qatar and Asiana Airlines most recently taking their first A380s back in 2014. 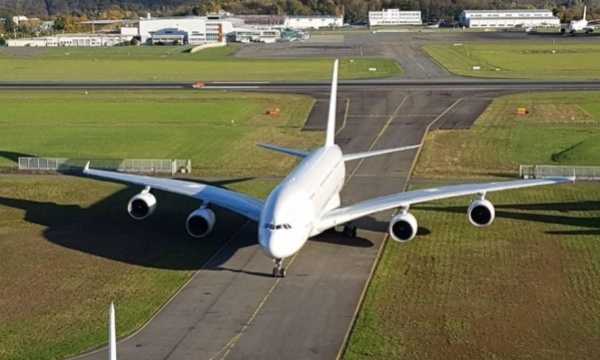 But while production on the A380 has slowed down, it remains somewhat unclear at this stage how this will impact on the MRO segment, with some of the aircraft now reaching the age for some of their first D-checks. The 100th series 400 Twin Otter took flight recently from Viking Air’s production facility in Canada. The aircraft, serial number 944, will be operated by Pacific Sky Aviation, Viking’s sister company demonstrator. Headquartered in Victoria, British Columbia, Viking holds the type certificates for all out-of-production de Havilland aircraft, from the DHC-1 Chipmunk through the DHC-7 Dash-7 50 passenger STOL regional airliner, and provides exclusive spare parts manufacturing for the legacy de Havilland fleet. The company launched the upgraded Twin Otter program in March 2007, the first version flew from Viking’s final aircraft assembly facility in Calgary, Alberta, in March 2010; Transport Canada issued the aircraft’s Type Certification the following June. Series 400 Twin Otters now operate in 29 countries. 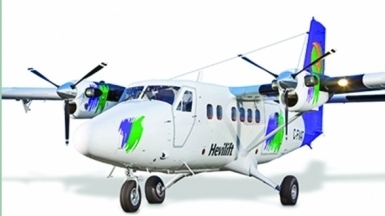 Recently Tara the Nepalese regional carrier has signed a purchase agreement with Viking for three Twin Otter Series 400s. On August 22nd Alaska Airlines broke ground on a new $40 million aircraft maintenance and engineering facility located at Ted Stevens Anchorage International Airport. The design of the new 105,000 square-foot facility by Anchorage based artifact firm McCool Carlson Green was also unveiled. 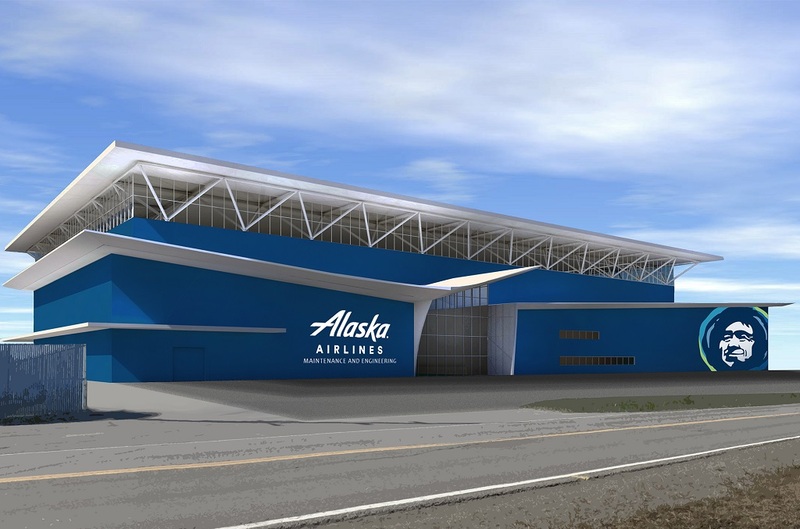 The new facility will be more than double the size of the current hanger and holds two 737-Max 9 aircraft, which will be the largest and widest in Alaska Airlines fleet. The current facility, located about a half mile from the new site, measures only 37,500 square feet and is unable to accommodate the newer, larger aircraft. Construction will begin in the fall of 2016 and is scheduled to be complete in the second quarter of 2018. The new facility will house 80 engineering and maintenance employees in Anchorage,” said Kurt Kinder, Alaska Airlines Vice President of Maintenance and Engineering. “It’s just that we have a long-term MD-80 retirement plan and with the busy summer flying season winding down, August 23rd was a good day to take care of these,” Freed adds. In Roswell, two full-time American employees processed incoming aircraft as they arrived. Planes can sit indefinitely in storage in Roswell, where the desert air helps keep the idle aircraft from corroding. Some find second lives, taken to cargo carriers or by smaller airlines in the developing world. Others face a stark end – raided for parts or scrapped altogether. Rockwell Collins is planning to deliver the final software load to Boeing for the 737 MAX cockpit displays in the middle of this month, followed by initial deliveries of the final hardware components by year end. The handover will wrap up four years of design, development and test work made more challenging by Boeing’s goal of maintaining maximum commonality between the 737NG and the 737 MAX, in part to retain common type ratings between the two minimal “differences training” for pilots. Boeing is targeting 2017 for first deliveries of the re-engined and otherwise modernized 737, for which it has garnered more than 3,200 firm orders. “One of the things that has been a challenge for us and for Boeing is that we are taking a 2015 display system and sticking it on an airplane that was designed in 1964,and has not changed all that much in terms of hydraulics, electrical and air conditioning systems,” Keith Stover, MAX program chief engineer for Rockwell Collins, said. Albawings Albanian start-up based in Tirana, Albania has taken delivery of its first aircraft, A Boeing 737-500. Armenia Air has taken delivery of its first two aircraft. The carrier, which launched services earlier this year using a Boeing 737-700 leased from Georgian Airways has acquired two of its own-former Westjet 737-700 and a 737-500. Precision Aircraft Solutions completed its 50th Boeing 757-200 freighter conversion. Rolls-Royce has won a $1.5 billion order from China Eastern from China Eastern to power 15 Airbus A330 aircraft. Thai Airways has take delivery of its first of 12 Airbus A350s.The aircraft, an A350-900,is on lease from US-based CIT. Aseman Airlines of Iran plans to buy 20 Mitsubishi Regional jets. The aircraft will be acquired through a lease-purchase contract. Silk Way Airlines Azerbaijan’s national air cargo carrier received another new Boeing 747-8 F aircraft. This is 4th Boeing 747-8F aircraft operated by the airline. BOC Aviation lessor BOC (Bank of China) Aviation has ordered another five Airbus A321s,to be delivered in 2017,all five are to be leased to an Asian carrier. Aerolease Aviation Miami based lessor has firmed an order for 10 Mitsubishi MRJ90 regional jets with options for 10 more. 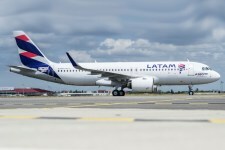 LATAM LATAM Airline Group has taken delivery of its first Airbus A320neo from the airframe’s facilities in Toulouse, becoming the first Americas operator of the re-engined narrow body. 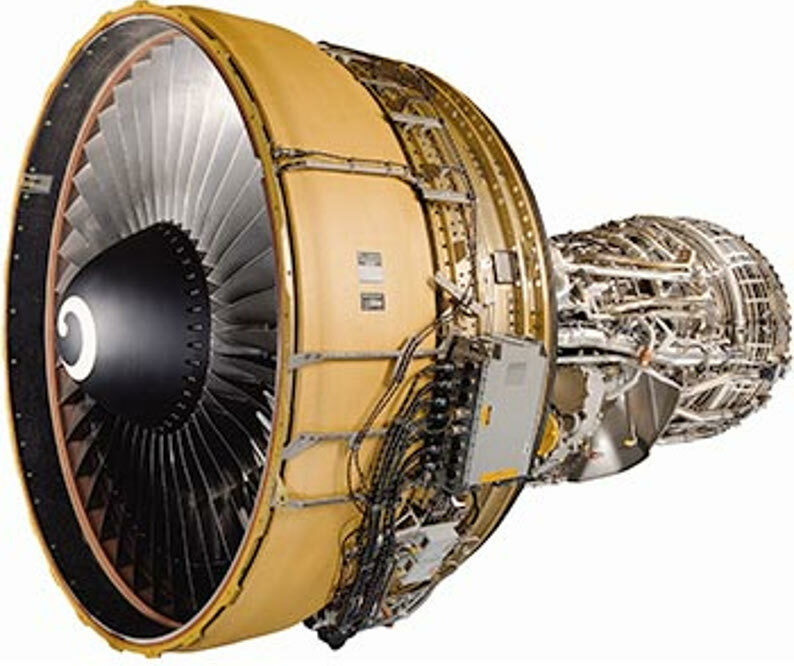 Aviall Boeing subsidiary has signed an agreement to acquire up to 36 CF6-80A engines powering the 767 and A310 aircraft from GE Aviation. 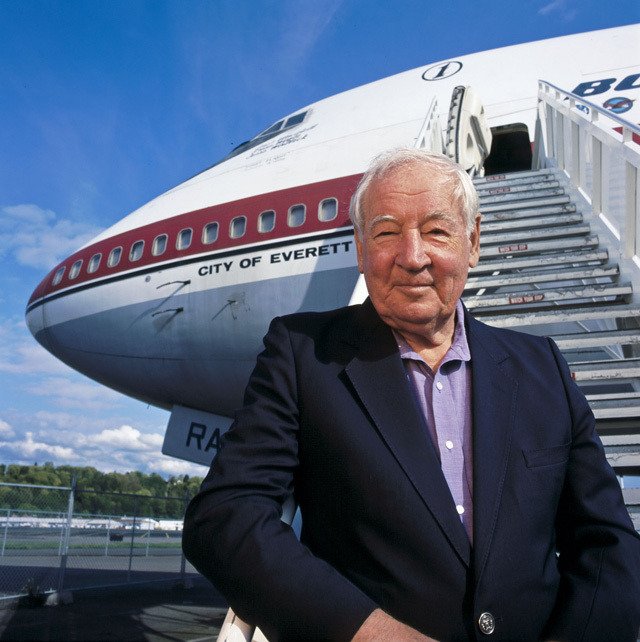 Boeing engineer and aircraft designer Joe Sutter, who achieved aviation icon status as the “Father of the 747”, died on August 30th at age 95. Known principally for ushering the West’s first wide body airliner into service in 1970, barely four years after the program launch, despite severe technical, supplier and production obstacles. Sutter also played roles in multiple Boeing aircraft programs spanning seven decades. Sutter a native of Seattle, began his career with a summer job at Boeing in 1940 while studying for an aeronautical engineering degree at the University of Washington. In the library of Boeing history books, Sutter’s role in the company is widespread, from delivering the technical data that drove the decision to use a T-tail on the 727 to recommending underwing podded engines on the original 737-100. 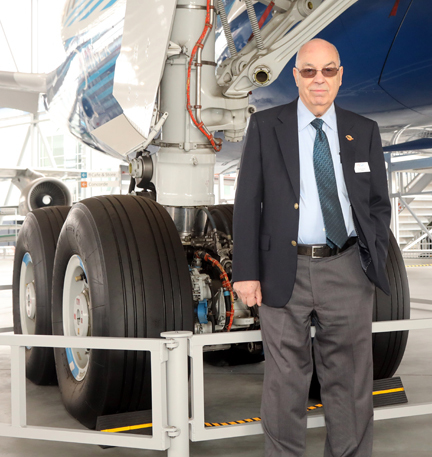 His preference for mounting engines underneath the wings would have a lasting impact on the industry beyond Boeing. Sutter’s legacy, however, is forever linked to the 747, the Boeing aircraft credited with opening international air travel to the masses. “Joe lived an amazing life and was an inspiration, not just to those of us at Boeing, but to the entire aerospace industry,” Boeing Commercial Airplanes president and chief executive Ray Conner wrote to employees. Amazon signed agreements with Atlas Air Worldwide Holdings, parent company of Atlas Air and Air Transport Services Group, under which those companies will each operate 20 767s for Amazon. Amazon will be operating under the name Prime Air. 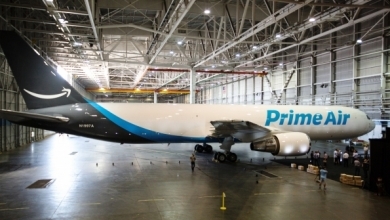 Amazon got its first branded 767-300 ER Freighter the company calls “Amazon One”. The aircraft, registration N1997A, flew on August 5th during the Boeing Seafair show. Aircraft N1997A was manufactured in 1994 and is powered by General Electric CF6 turbofans, according to Flight Fleets Analyzer. The aircraft N1997A had accumulated 90,000 hrs and completed 17,400 cycles as of November 2015 according to Analyzer. Atlas expects to have the 20 aircraft flying for Amazon by the end of 2018. As part of the deal, Atlas gave Amazon the right to purchase up to 20% of Atlas stock over five years, and the possibility to purchase another 10% of shares. That deal followed an announcement in March that Air Transport Services Group had reached an agreement to operate 20 767s for Amazon. The Air Transport Services deal gave Amazon the right to purchase 19.9% of Air Transport Services shares. A US Air Force Boeing B-52H is back in flight after spending eight years parked in storage in the Arizona desert. The regenerated Stratofortress, nicknamed Ghostrider, completed first flight on August 30th at Tinker AFB, Oklahoma, rising into the sky without a painted livery. The base’s Air Logistics Center was tasked with restoring the airworthiness of the unretired B-52H, reversing a normally one way trip for aging military aircraft to the “boneyard” at Davis-Monthan AFB near Tucson, Arizona. The Air Force will use Ghostrider to replace another B-52H severely damaged by fire in 2014, restoring the strategic bomber fleet to approved levels. The Air Force maintains a fleet of 58 B-52s in active duty force and 18 more in reserve units. Ghostrider, tail number 61-007,arrived at Tinker last fall before entering the boomer’s firsts programed depot maintenance cycle in 12 years. 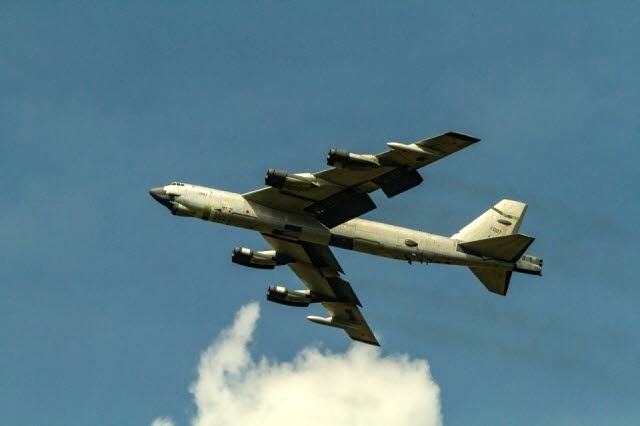 The Air Logistics Center plans to complete several more flights of the B-52H at Tinker before handing the bomber over to an operational squadron at Minot AFB, North Dakota.